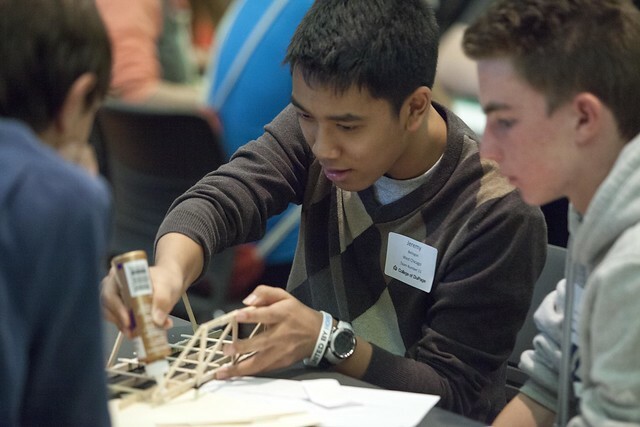 The Engineering program at College of DuPage provides the first two years of baccalaureate work, including courses in mathematics, computer programming, chemistry, physics, engineering graphics, mechanics, circuits, and general studies. Upon completion of the Associate in Engineering Science degree, students transfer to baccalaureate-granting institutions, where they complete the last two years of their bachelor's degree in engineering. A Bachelor of Science degree is the entry-level degree for a career in engineering. Engineering is a rewarding career, both professionally and financially. A successful engineering student must have an aptitude for mathematics and science. Graduates with engineering degrees or backgrounds are in great demand for the design and development of new products, equipment, structures and processes, and operation and management of all kinds of equipment and services. Demand for engineers continues to grow in such fields as energy development and conservation, food production, transportation, environmental improvement, health service improvement, information handling, and other social areas. A pathway to guaranteed admission to the College of Engineering at the University of Illinois at Urbana-Champaign. "With all the help I’ve received from my professors and the staff in the Math Center, I’m now solidly on the road to becoming an engineer and I couldn’t be more grateful for all the help I’ve received."